This is the Bluecaster. It's a complete Telecaster build using a Warmoth body and neck, distressed hardware and Seymour Duncan pickups. 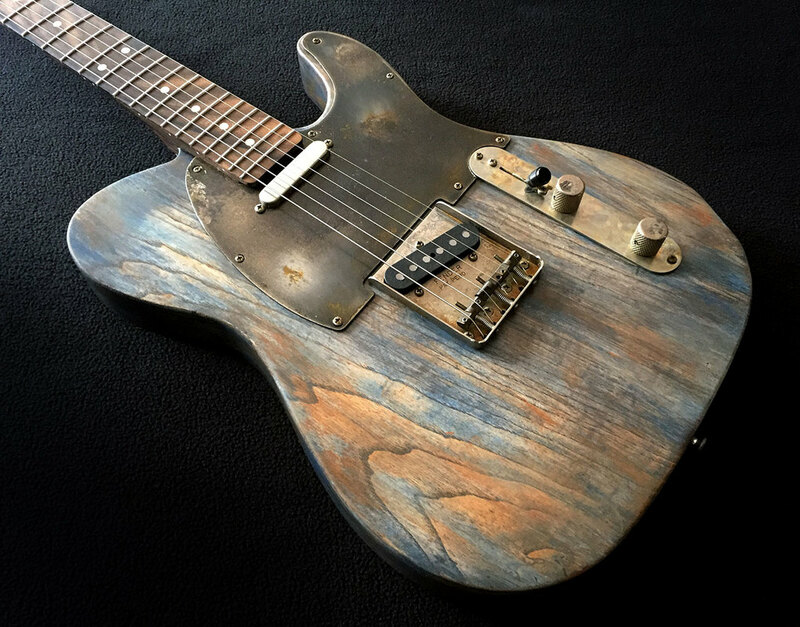 The pickguard is steel, aged to match the weathered look of the guitar.